GIFT AND LOYALTY CARDS: NEW PROCESSING ADVANTAGE! Gift And Loyalty Card processing is the newest release in consumer payment systems. Paper certificates have now been replaced with electronic gift cards. Large retail chains were the first to capitalize on this technology and have had tremendous success. Offering payment technologies without size limitations, Global Merchant Services recognized a need for a card program that smaller and mid-size retailers and restaurants could benefit from, without making a large investment. 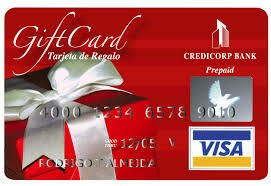 So we came up with the Gift And Loyalty Card Program, the premier card processing solution to better serve you. Regardless of size or type of business – Merchants can take advantage of this powerful payment option with easy implementation and effortless maintenance utilizing Global Merchant Services Gift/ Loyalty Card solution. Merchants that have issued paper certificates in the past find that the Electronic Gift Certificate program eliminates the need for manual tracking and provides detailed reporting of cards issued and redeemed, allowing gift cards to be monitored effortlessly. Gift Cards have special advantages such as detailed reporting that gives merchants an accurate picture of their return on gift cards that have been issued, at the same time increasing name awareness with customized gift cards, and an improved refund policy by issuing refunds on gift cards. With two options for card printing, merchants can either have customized cards that are printed with their logo and business information, or standardized generic cards. Generic cards come in an array of colors and have the message “A Gift for You” printed on them. Customized cards are the most sought of card as they also provide a unique marketing tool for the merchant. Market reach can also be extended with gift cards and new customer relationships can be established with presence in gift giving. 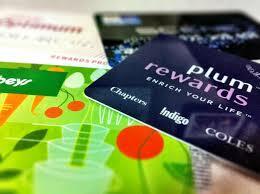 Operation of the Gift And Loyalty Card program is similar to processing Credit and Debit Cards. Transactions are quick, easy and flexible. Combining consumer convenience and improved merchant operations makes Global Merchant Services Gift and Loyalty Card program an easily justified processing solution. The new processing advantage.